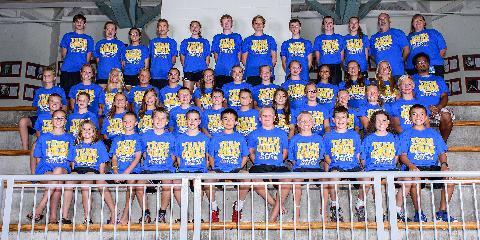 South Dakota Swimming, Inc. is the Local Swim Committee sanctioned by the USA Swimming Federation to administer amateur swimming in South Dakota. This site allows for athletes to register for various select meets including All-Stars and Zones; it also provides the various select coaching staffs with a centralized means of completing entries for those meets. Vision: "South Dakota Swimming: Inspiring Excellence and Transforming Lives"
Mission: "South Dakota Swimming provides leadership, support, and commitment to create opportunities for a life-long excellence through competitive swimming." Make a new account, use any email, but a different password than previous sites if possible. Make sure you have no other tabs open, especially other Team Unify websites. Move kind of quickly so you are not timed out. It will say pending until we get a chance to approve them within 24 hours. They should get an approval email once we are able to see it.